Beyond providing data for all 32 NFL teams, PFF also supports network broadcasters with game-preview packets that are used to enhance the in-game experience for fans and viewers. This Patriots-Jets preview features the same information our broadcast partners use for team research and in-game production. 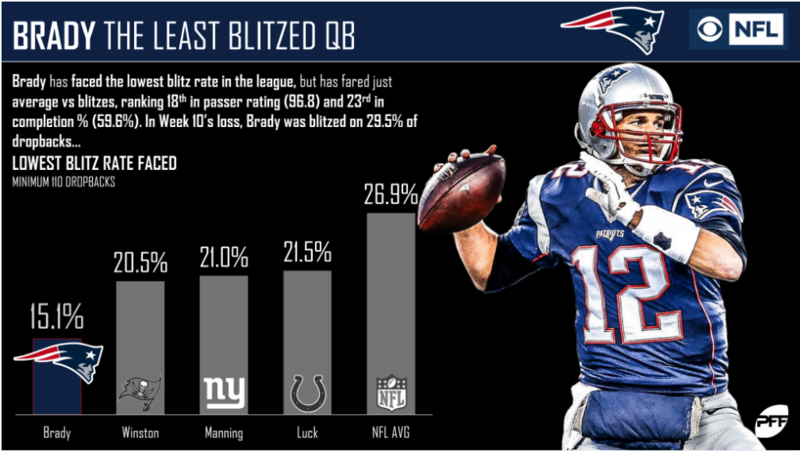 Tom Brady has been blitzed on just 15.1% of his dropbacks this season, the lowest rate in the league. 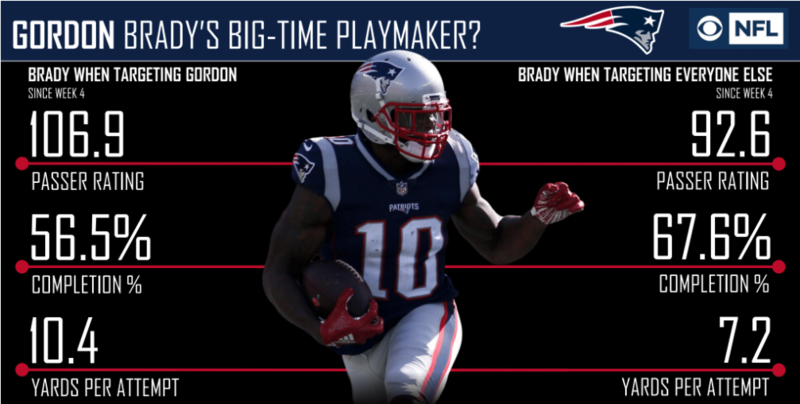 Since Week 4, Brady’s passer rating has been over 10 points higher when he’s targeted Josh Gordon compared to his other pass-catchers. 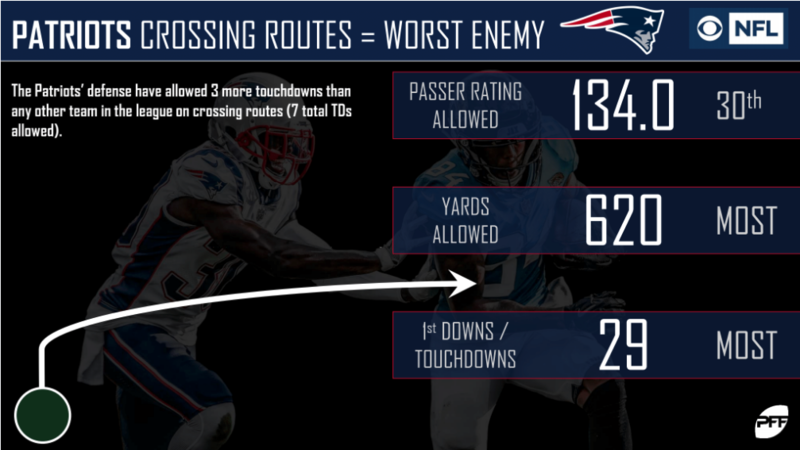 the Patriots defense has allowed a passer rating of 134.0 on crossing routes this season, the third-highest mark in the league. 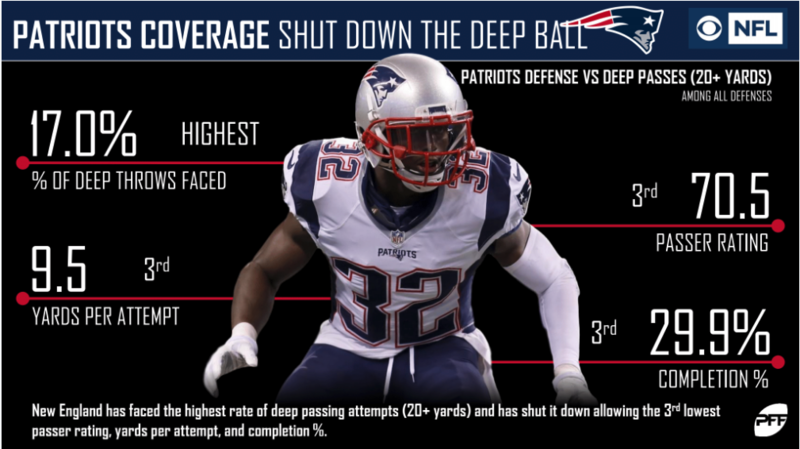 The Patriots defense has held opposing quarterbacks to just a 70.5 passer rating on deep passes this season, third-best in the league. 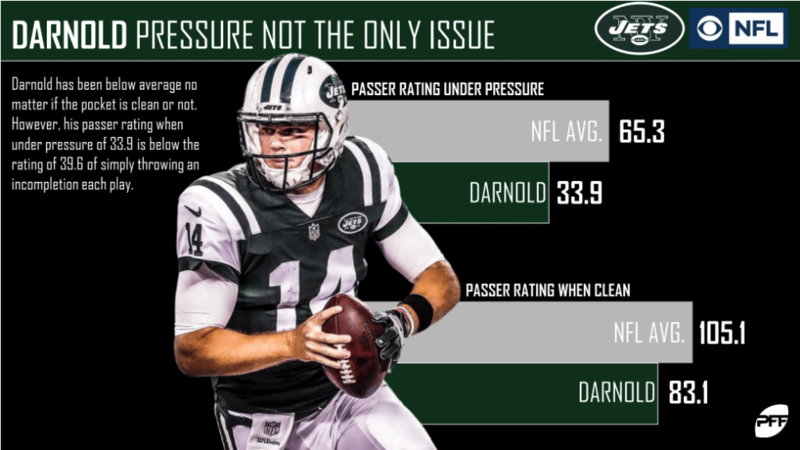 Sam Darnold‘s passer rating drops nearly 50 points when under pressure compared to when he’s kept clean. 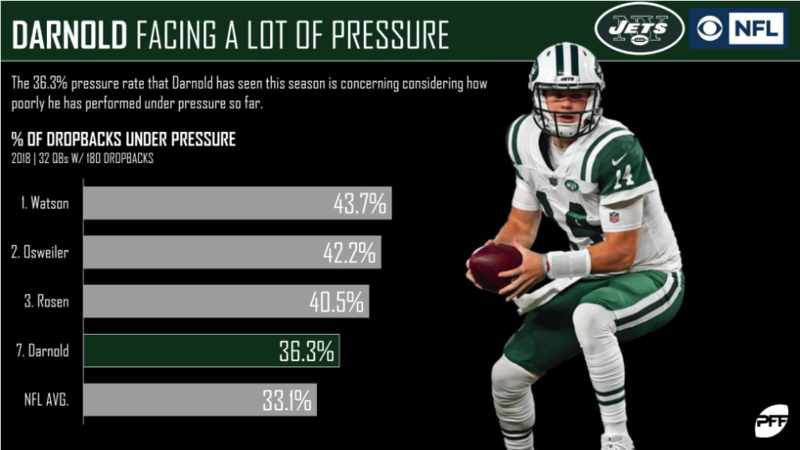 Sam Darnold has been pressured on 36.3% of his dropbacks this season, which is the seventh-highest rate in the league. 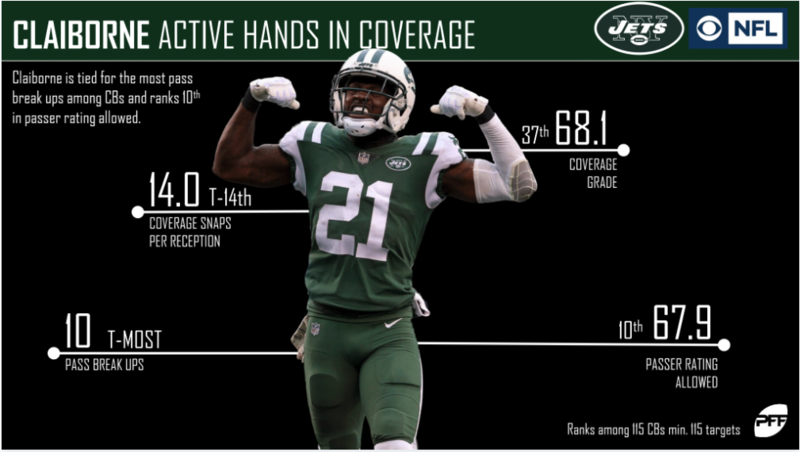 Morris Claiborne has 10 pass breakups on the year, tied for the most among all cornerbacks. He is allowing a passer rating of just 67.9 in coverage. 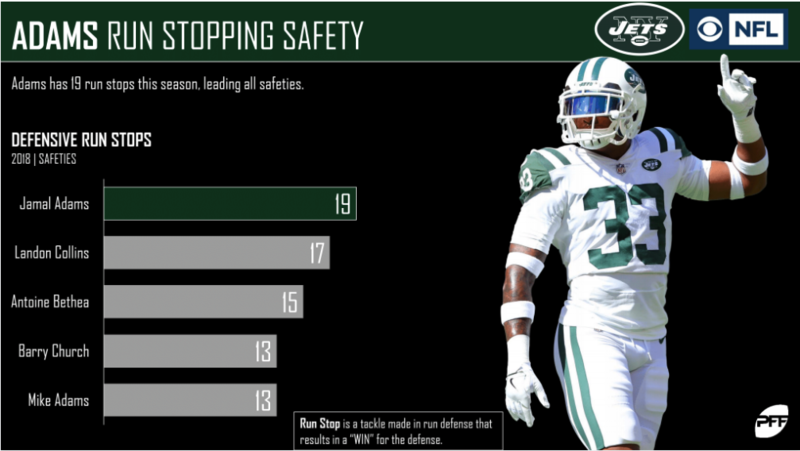 Jamal Adams has 19 run stops on the year, good for the most among all safeties. 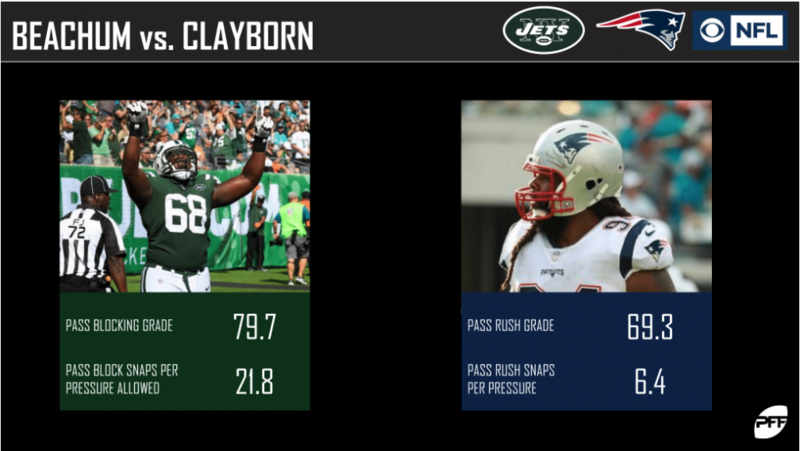 PFF Greenline has projections for the spread, moneyline and over/under of the Patriots’ matchup with the Jets. Get its picks here.